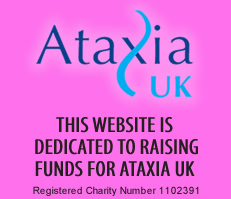 The Big Bad Bike Ride is an annual sponsored bike ride which was set up in 1991 to raise money for Ataxia UK, a charity which supports research into potential cures for Friedreich's ataxia. 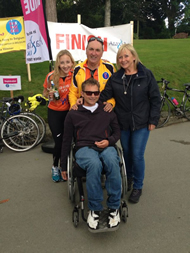 All money raised is for research into finding the cure for Friedreich's ataxia. Our running total after the 2016 Big Bad Bike Ride is over £1,060,000 in sponsorship. The 2016 Big Bad Bike Ride is now completed. This is an amazing achievement so far - view our thank you video. BBBR 2016 - PHOTOGRAPHS & VIDEOS! See a video of the history of the Big Bad Bike Ride and a video from Frazer. Both were played at the 2016 Big Bad Ball. See photos from our two photographers for the 2016 bike ride, Chris Shepherd and Lewis Outing. If you would like a copy of a photo, please contact the photographers directly and they will arrange to send you a high-quality digital version. on Saturday the 13th September 2014. 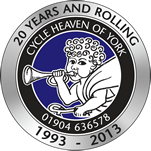 It was a 100K challenge into the Yorkshire Wolds. The start and finish was at the York Sport Village (just off the Hull Road). See over 1500 photos from the event! If you would like a copy of a photo, please contact Lewis directly and he will arrange to send you a high-quality digital version. 100 riders survived the Hills of Snowdonia in sunny Wales. Taking the total from all Big Bad Bike Ride's to £820,500.